Sure, the industry-dominating MMORPG World of Warcraft is bringing in tons of cash from its millions of subscribers every month, but such success doesn't come without a price. In an interview with GamesIndustry.biz, Blizzard senior VP Frank Pierce explains that with great subscription numbers comes great, exhausting responsibility. 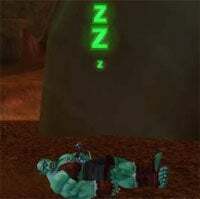 I don't know if I'd describe it as "interesting" as much as exhausting...As a company we've found ourselves spread very, very thin - because the World of Warcraft community has a voracious appetite for content. That development team is 130 people, they're working on content patches, they're working on an expansion set, they've got their hands full - and then we've got the other development teams that we need to continue to support as well.